The technology has changed this world and the Cricket was not left behind. The technology has given the new definition to Cricket. The high resolution ultra motion cameras, snickometers, Hawk eye, Zoomers, G.P.S and many more equipments are added to Cricket. It has made Cricket more interesting especially for the viewers and also helping out players, curators, umpires, staff etc. The technology is now the integral part of Cricket and has to be. Without technology you can’t name Cricket as Modern Cricket. It is a electronic device which has been introduced in Cricket especially for the detection of sounds. Even the small decibels of sound will be detected by this meter. I think some sound equipment or sensors are kept in wickets or near by wickets because the batsman stands in crease near by wickets, thereby the sensors sense or detects or catches the sound in and around the pitch. Whether the bat hitting the pad or ball hitting the bat or ball hitting the pad whatever it is, it detects the sound in and around the pitch. Every telecasting company will be having its own control room and everything will be managed from there. whatever the sound waves are created by bat or ball or pad will be displayed in control room and then it will be transfered to our viewing television screens when ever it is required. Check out the SNICKOMETER video. In Cricket Earlier we used to have analog cameras which is a traditional one, but now- a- days everything is Digital and not only we have digital cameras, but with high resolution ultra motions.Earlier we used to have slow motion replays with bad quality and resolution. Now-a-days not only we have slow motion cameras with good quality but also ultra slow motions with high resolution and good quality. When a batsman makes a century and jumps into the air and punches, it will be delightful to watch him in ultra motion. Similarly when a fielder catches a brilliant catch, when a fast bowlers bowl a killing bouncers, when a batsman hits a beautiful fours or sixes and many more, always makes us delightful in watching them in ultra motions. The ultra motion cameras also help you in, whether the ball has outside edged the bat or not. Check out the ULTRA MOTION video. 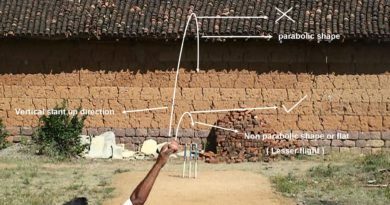 Hawk eye is a computer system used in Cricket and other sports to track the path of the ball. Hawk-eye is used in different departments of the game. It shows would the ball have hit the stumps? Did the ball pitch in line? Did the ball hit the batsman in line? Check out the HAWK-EYE video. The 1’s, 2’s, 3’s, 4’s and 6’s that make 50’s or centuries are represented by the different colors of the wagon wheel, which shows the areas of the field that the batsman has been targeting. 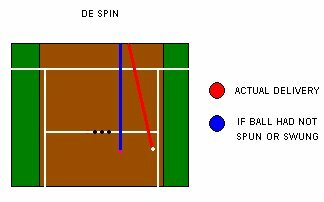 It helps you in, how far a ball has turned or deviated after pitching, one color shows the actual delivery which has turned or seamed, the other color shows, “if the ball hasn’t turned or seamed”. It shows where the ball has hit the pitch. It shows the complete package of deliveries ‘ where they have been dropped ‘, may be pitched or dropped in Good length, full length, short length. And also the deliveries will be represented in different colors. Each color has its own identity representing runs, dots, boundaries, wickets etc. 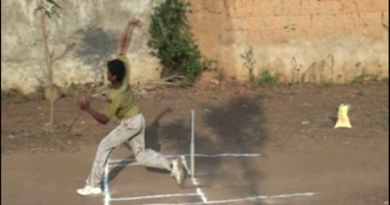 It shows how the ball passes the batsman. It shows the complete package of deliveries where they have passed the batsman. Same as the pitch map the deliveries will be represented by different colors. Each color has its own identity representing wickets, runs, dots, boundaries. It is a side view shot which shows the differences in speed, bounce. It represents the bowlers variation. Depending upon the lens the Zoom depends. 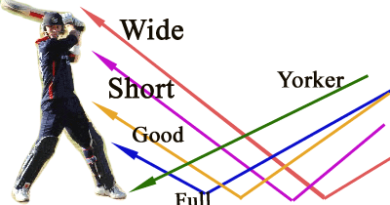 The more the power of lens, the more the Zoom.Zoomer is used in, whether the ball has hit the bat or not. It is also used in, whether the fielder has taken the catch clearly or not, that is without grounding the ball.Checkout the video. When a fielder catches a ball by running a far distance. That distance will be calculated accurately by GPS. The distance travelled by the batsman between the wickets can be calculated. In 2007 in a 20-20 match in Australia between Australia and NewZealand, the distance travelled by Micheal Hussey was 3.2 kms and distance travelled by Nathan Bracken was 3.8 kms.